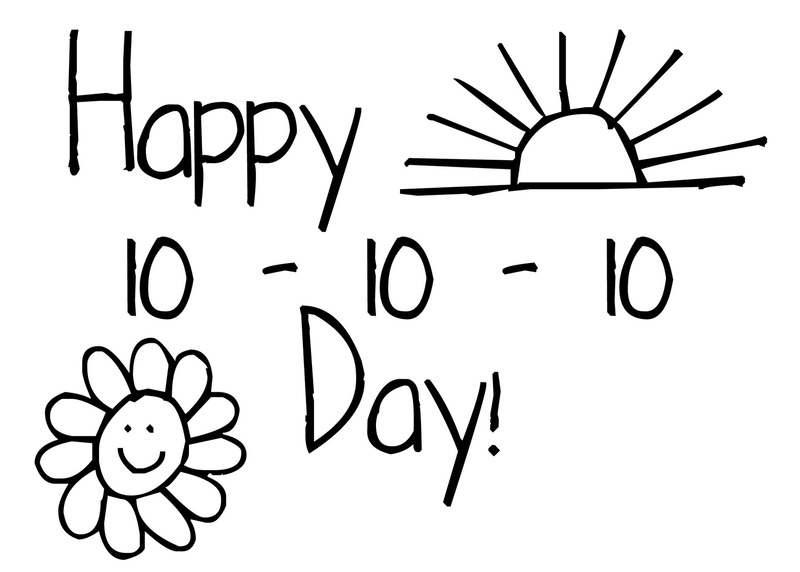 It's 10-10-10 (also known as Sept. 10, 2010)! Today's date is one of those fun quirks of the calendar that causes me to smile! 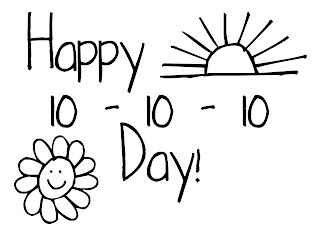 So, in honor of 10-10-10, what are 10 things that make you smile? Jessica is hosting a sale in honor of 10-10-10 on her website on her Photoshop Friday mini-tutorials. If you've been wanting to try to increase your photoshop knowledge or if you've wanted to try doing digital scrapbooking, then check out these tutorials. (You can get 10 of the 21 available for just $10 today only!) Correction - as long as you order 10, everything in your cart will be $1 each! Woot woot! Amanda has the most lovely fonts, that always make me smile. I even used two to create my happy graphic. Kate's happy designs, always make me smile. I use her stuff to design my children's ministry blog. The link above is her "new" digi home (she sells exclusively at the Lily Pad). My digi home on the internet. I love all of the designers at this store. I use a TON of their creations in my stuff. Friends always make me smile - especially a few that I'm blessed to live by. I'm very thankful for all of my friends. Family always make me smile (OK, some more than others - but isn't that just life?). I'm grateful for the family who put up with my antics on a regular basis! I'm very grateful and thrilled to be writing for this wonderful teen devo mag on a somewhat regular basis again. They gave me my first "foot" in the publishing world door oh so many years ago, and it's almost like coming home. Looking for something for your teen? Why not check out DevoZine. Yes, it sounds silly, but Facebook makes me happy. I'm able to connect with friends literally all around the world. It helps me stay in contact with people I care about. 9) Yellow Flowers, Fat Red Robins & Frog Rings. I also love looking at my finger and seeing my frog ring - which reminds me of my friend Betsy in Texas. Both were extremely important to me in Seminary, and these small reminders often encourage me to pray for them. Yes, sounds self-promoting, but I love how this blog is giving me a creative writing outlet. I've had it since 2006, and it's changed and grown with my interests. I love how I can use it to ramble, review books and more. So what are you happy about today?